Car Accident Lawyer in Oklahoma City| Johnson & Biscone, P.A. The population of the Oklahoma City area has grown significantly for more than 15 years. More people means more vehicles, which makes the three interstate highways in OKC a common scene for car accidents. Experienced car accident attorneys at Johnson & Biscone, P.A. understand the enormous toll crashes have on our clients. We see the impact of car accidents in Oklahoma City and nearby areas every day. If you’ve been injured in an auto accident in Oklahoma City, Edmond, Norman, or anywhere in Oklahoma, please call 405-232-6490 today for a free consultation with one of our experienced personal injury attorneys. In addition to accidents involving passenger vehicles, the law firm of Johnson & Biscone, P.A. also represents clients who have been injured in vehicle accidents where complicated laws and circumstances are involved. Our attorneys understand the seriousness of motorcycle accidents, as well as the complexities that govern truck accident lawsuits. The immediate aftermath of a car accident is scary and stressful. You are likely in pain, your vehicle is damaged, and you might be sitting vulnerable in the middle of heavy traffic. To add insult to injury, you’re dealing with all of this at the scene of the accident – the time and place where you can start protecting the integrity of your claim. Get the driver’s insurance information: Don’t just take a picture of the driver’s license, as the information could be out of date. Take a picture of the other driver’s proof of insurance, or at least write down all important details. Take pictures of the accident scene: In addition to the cars involved, snap photos of the surrounding area, including traffic lights, signs, and road conditions. Call the police, even if the accident is not an emergency: A police report is an independent assessment of the accident that could include witness statements and other important details. Without a police report, this valuable information could be lost. Seek medical attention: If you have serious injuries, you will likely be taken directly to the emergency room from the scene of the accident. But, even if you have “minor” injuries or don’t feel hurt/in pain, that doesn’t mean you should skip going to the doctor. Some injuries aren’t readily apparent and might get worse without timely intervention. Contact Johnson & Biscone early in your case: It’s normal to receive medical care before you hire a lawyer. But don’t go too long without contacting an attorney. Once the insurance company wants to talk to you, you need representation. If you haven’t hired a lawyer yet, DO NOT sign any documents furnished by the adjuster; you might be signing away your right to pursue compensation. The insurance company is not on your side. If you wait to speak to a car accident attorney, you might unknowingly jeopardize the integrity of your case. If you or a loved one was injured due to the negligence of another driver, our attorneys will pursue full compensation for the injuries you have suffered. The extent of your injuries may vary, but our dedication to your cause does not. Our lawyers will evaluate the police report, your medical records, and more to understand the impact of your car accident injuries. 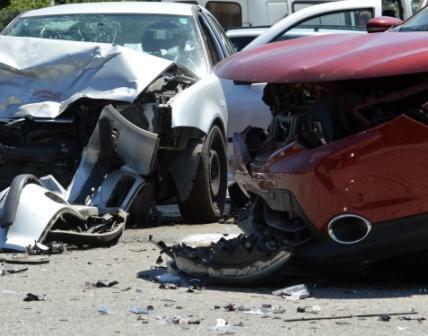 Some car accidents result in soft tissue injuries. Sometimes the injuries are more severe. The absolute worst outcome of a car accident is loss of a family member. Should your loved one succumb to injuries in a car accident, our attorneys will build a wrongful death lawsuit on your behalf. Compensation in a wrongful death case will not bring your relative back, but it will help offset the costs that often accompany the unexpected passing of a family member. Attorneys at Johnson & Biscone, P.A. prepare as though every case will go to trial. Insurance companies and other defendants know that we mean business; see how many car accident settlements we have achieved on our clients’ behalf just days before the beginning of trial. Every car accident case is different, and previous verdicts and settlements are not a guarantee of future results. However, you can count on our attorneys to pursue the full compensation to which you are entitled. Pain and suffering is considered a “non-economic damage,” meaning it is not directly quantifiable the way that medical expenses and lost income are. In Oklahoma, non-economic damages are generally capped at $350,000 in personal injury cases, including those involving car crashes. Most car accident lawsuits pursue compensation from the negligent driver’s insurance company. But what happens when the at-fault driver doesn’t have car insurance, or he/she doesn’t have sufficient coverage to pay for the expenses you incur as a result of the accident? Oklahoma law requires insurance companies to offer Uninsured Motorist Coverage with every policy. If you purchase this insurance, the coverage is designed to protect you if you are injured in a hit-and-run accident or by an uninsured or underinsured driver. Unfortunately, just because you pay premiums on an auto insurance policy with Uninsured Motorist Coverage does not mean that you will be fairly compensated in the event of an uninsured/underinsured driver collision. Insurance companies protect their profits, not the people who pay them. 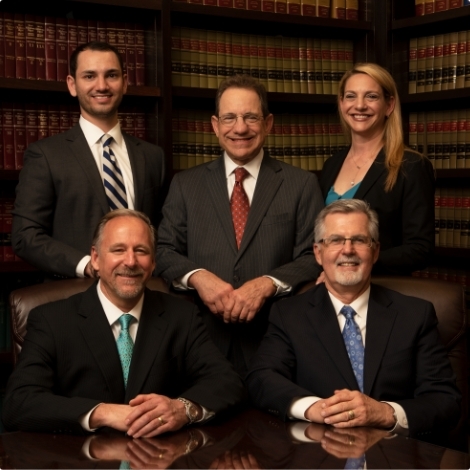 When you hire Johnson & Biscone, P.A., our priority is protecting your interests and securing the compensation you need after the car accident. Our knowledgeable attorneys will perform a full review of your car insurance policy. We will pursue all of the damages you are due for your injuries. In the event that your insurance company is dealing with you unfairly, our attorneys will draw on their extensive experience in both car accident and insurance bad faith cases to provide assistance with your claim. Oklahoma City is a highway heartland. I-40, I-35, and I-44 are frequently the scene of high-speed collisions, and traffic on major roads like the Northwest Expressway often comes to a standstill due to car accidents. Until you contact an attorney, no one is watching out for you after a car accident. That changes when you hire us. Car accident attorneys at Johnson & Biscone, P.A. have decades of experience serving auto injury clients. We take your best interests to heart, and we are not afraid to face big insurance companies in court if a reasonable settlement can’t be reached. We try car accident cases on a contingency basis. That means you pay nothing upfront, and you don’t pay attorney fees and other legal costs unless we win your case. Justice in your car accident case begins with cost-free evaluation of your case. You will speak directly with one of our attorneys, who will listen to your story and ask you questions about the accident to determine the full extent of damages you’ve suffered. Start building your case by calling 405-232-6490 today for a free consultation. Our car accident lawyers are based in downtown Oklahoma City, and we serve clients throughout OKC, Edmond, Norman, and the entire state of Oklahoma.